using ph testing tape. As long as my body’s pH level hovers at the 7.3-7.4 range, I’m happy. 4 Comments on Reader Question: Where did you find the best guidelines for the alkaline diet? God bless you, Margaret. I will keep you in my prayers for a complete recovery. I got accident and broken my femur bone( R lag) in complex about 100 days back(17th September)last year. yet need to fit as surgeon said several 100 days and then perhaps grafting. I said if grafting is the only way then it will be done soon just to wait and see. I am 57 y using all medicines as given by them 1-calcium 5000 iu(rock D) , 2- soft D- calcium 5000iu, ( Alfaclidol calcium .05 mg ). 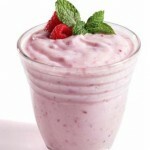 milk, yogurt , orange, banana, and other available fruits and home food, no meat. Kindly advice me how to get quick repair of badly damaged femur bone. Waiting your favor able reply. Hello, Akbar. I’m so sorry to hear about your accident. I ate a balanced diet that included fruit, vegetables, seeds, and nuts + little bit of meat. Dark vegetables have lots of calcium and other nutrients that are good for building bones. I took a liquid calcium-magnesium supplement, too.